On the Kermit Lynch wine trip we visited domaine Marcel Lapierre and tasted with the gang of four. Incredible experience to taste with the masters of gamay in the world. 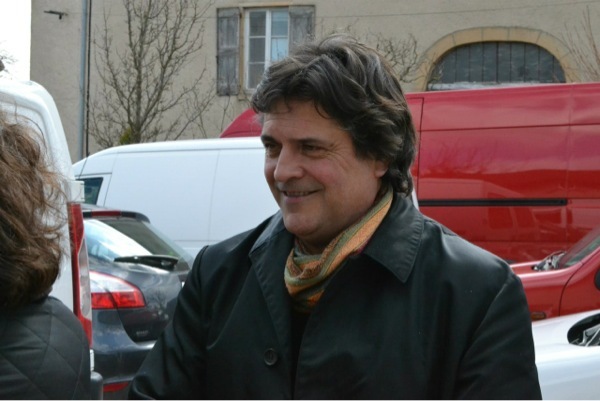 Kermit Lynch gave the name to a group of like minded producers of Cru Beaujolais. Jean Paul Thévenet, Guy Breton, Jean Foillard and the late Marcel Lapierre. The tasting was for 25 people so we did not get much opportunity to talk with the gang, they all sat by their bottles, talking and laugh like old friends. The next generation Mathieu Lapierre and Charly Thévénet have already joined the gang, which is now really 5. This was one of the highlights of the entire trip. I am huge Cru Beaujolais fan and always have some of these wines in my cellar. They are greatly undervalued and deserve more attention in restaurants. 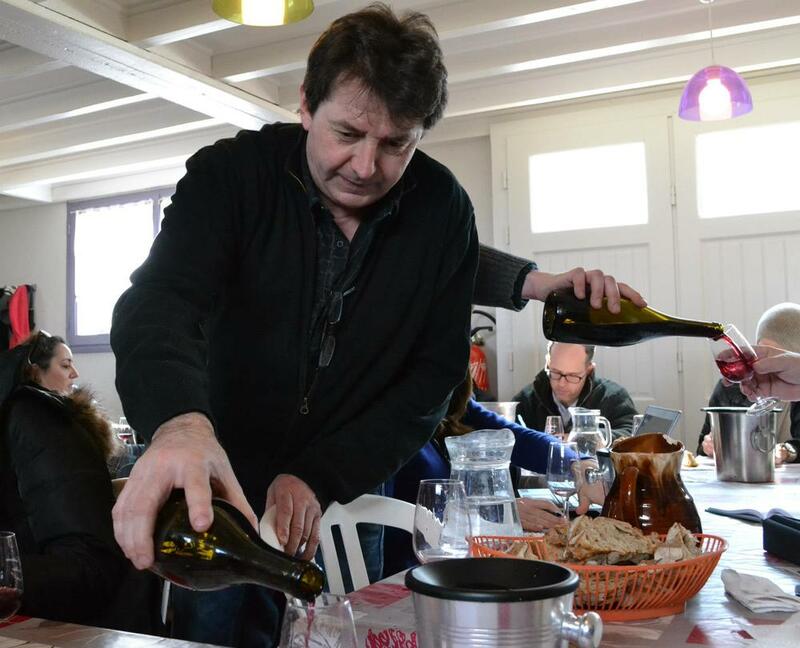 There is a big difference between the Beaujolais nouveau which is released in November that tastes like grape juice and the terroir expressive, old vine gamay that is grown on granite soil. The wines are very pronounced with a Rhône nose and a Burgundy palate, best of both places. Marcel would day "this is a wine to drink when you shower"
Only available in 750ml because of the limited production for the US. A wine made from old vines . Not made every vintage. Made about 3 times a decade. The soil is the same. Fresher, light red with hints of sweet cherries, raspberry, plums. Dark, smokey, crunchy acidity, "bouvable"
I consider him a living legend and wine making genius. The reputation of Foillard is noted all over the wine scene in France and garners respect for his craft. This estate comprises nearly fourteen hectares. Foillard’s Morgons are deep, structured, and complex, with a velvety lushness that makes them irresistible when young despite their aging potential. Jean raises his wines in older barrels sourced from top estates in Burgundy, a logical decision for someone crafting Gamay in a Burgundian style. The same vines of Cote de Py, in good vintages it goes in the 3.14 otherwise it goes in the Cote de Py. The 3.14 refers to the mathematical constant of Pi.